12 hours agoCelebrate Hollywood Studios' 30th Anniversary with Special Treats, Drinks, and Classic Eats12 hours ago"Villains Unite the Night" Coming this Summer to Magic Kingdom's Disney Villains After Hours20 hours agoDisney World's "Secret" Character Meet And Greet Locations22 hours ago6 Disney World Things We're Excited for in 2019 That AREN'T Galaxy's Edge1 day agoWalt Disney World Swan Resort's Garden Grove Hosts Easter and Mother's Day Brunches1 day agoWhy Don't Disney Resorts Sell This Merchandise?1 day agoDisney's Hollywood Studios Invites You to Its 30th Anniversary Celebrations1 day agoFirst Look Inside Disney Skyliner Plus Questions About the Gondolas Answered! There's still time to make plans to see all the Walt Disney World happenings during the holiday season! 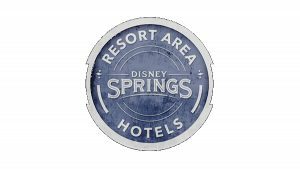 And the seven Disney Springs Resort Area Hotels are making it even easier by offering special “Holiday Sale Rates” for stays from November 1, 2018 – January 15, 2019. Guests staying at the seven Disney Springs Resort Area Hotels in 2018 have been enjoying two benefits at the Walt Disney World theme parks that are usually reserved for Disney Resort Hotel guests: theme park Extra Magic Hours and the ability to book FastPass+ 60 days in advance. These benefits were originally slated to end at the Disney Springs hotels on December 31, 2018, but now will be available for those guests with valid theme park admission through December 31, 2019. Special ‘Magic of Fall’ Rates August 20-October 31 at Seven Disney Springs Hotels! Special room rates provide a great way to experience the new Toy Story Land at Disney’s Hollywood Studios, 2018 Epcot International Food & Wine Festival, and enjoy the Extra Magic Hours and 60-Day FastPass+ Benefits at the Walt Disney World Theme Parks The seven Disney Springs Resort Area Hotels are offering special “Magic of Fall” … Continue reading "Special ‘Magic of Fall’ Rates August 20-October 31 at Seven Disney Springs Hotels!"